On April 20th, Young Jewish Professionals will be hosting its annual Passover Seder. Join our warm, interactive Seder as we integrate the traditional texts with modern thought, contemporary experience, and a great, friendly atmosphere. 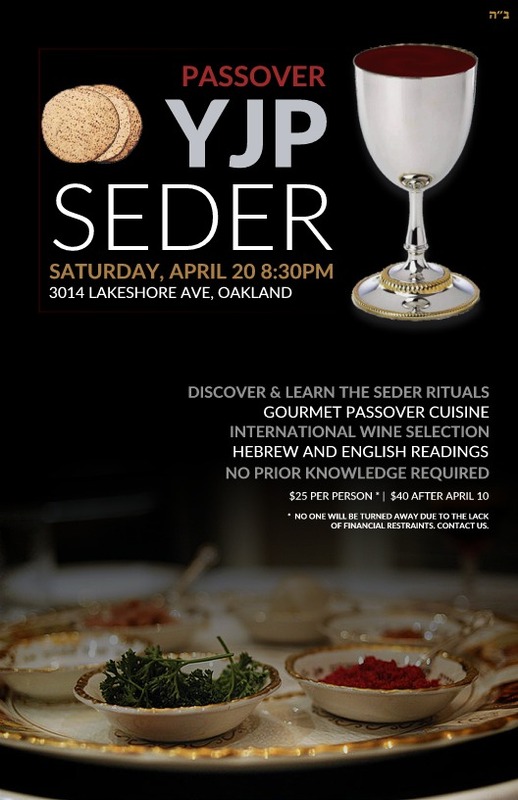 Connect, dine and be inspired with fellow YJPs at The Chabad Center for Jewish Life, 3014 Lakeshore Ave., Oakland. OF FINANCIAL RESTRAINTS. CONTACT US.